I found this bottle of Dark Hops from the brewers of Beer Here who hail from Norway a month or so ago on the shelves of The Four Firkins. I also picked up a bottle of their Pumpernickel Porter but that will be for another day. I know very little of the Beer Here Brewery but if you can read Norwegian perhaps you can learn a bit more about them at their web page above. The Dark Hops bottle states that it is a hoppy black ale and lists it’s ingredients simply as “water, barley, rye, sugar, hops and yeast”. While also noting that “hops were harmed in the making of this beer”, which I can dig, so long as they were treated in the most humane way possible. 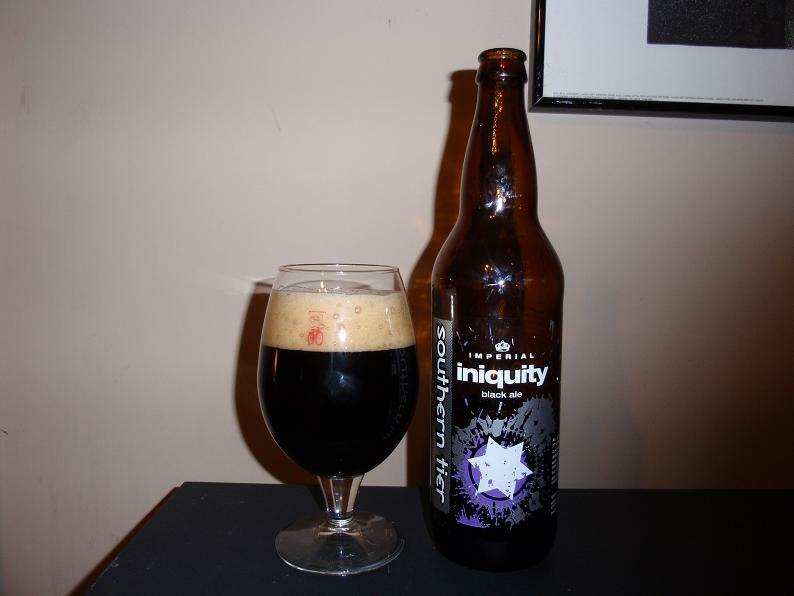 This ale pours an incredibly dark black color that is completely impenetrable by light, producing a massive tight creamy dark brown head that is over four fingers and fades quite slowly, leaving only a small amount of lacing around the glass. 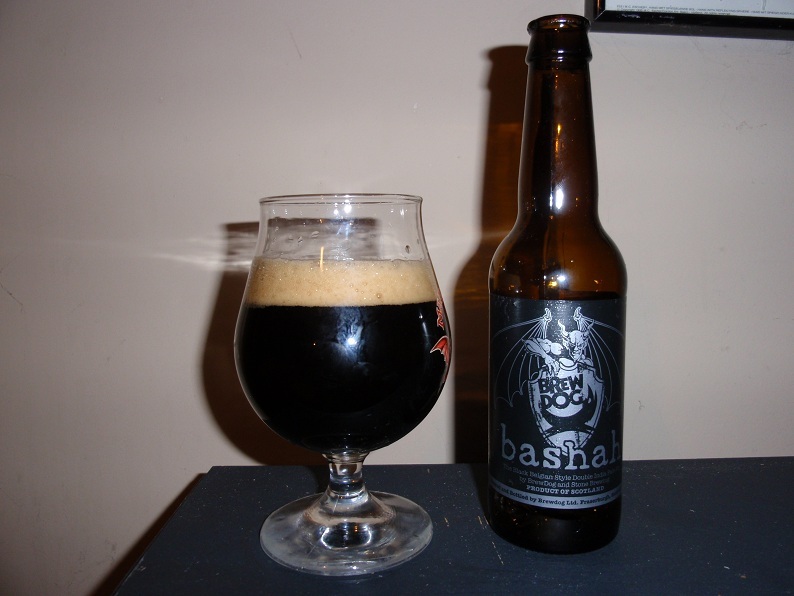 Aroma is incredibly rich, smelling of dark roasted malt, coffee, chocolate, toffee and a solid dose of alcohol. A strong does of hoppy citrus & floral notes prevail in the aromaÂ but still takes a back seat to the massive dark roasted notes. Dark roasted malt and burnt coffee flavors are noticed first followed by plenty of alcohol and finishing with some serious floral and citrus notes from the Zeus and Saaz Hops used in this brew. An additional sharpness is added by the use of rye in the grain bill and compliments the hops quite nicely. A decent amount of sweetness is present but I still find myself overwhelmed with dark roasted coffee notes even though there are plenty of other flavors present. The combination of roasted and citrus notes occasionally creates a somewhat tart flavor that is really quite unique and enjoyable. The 8.5% ABV of this beer is partially masked by the melody of flavors present but is a bit overpowering even for my tastes, though it does smooth out a bit as I progress though the bottle. Body is somewhat heavy but less viscous than most ales that are this dark. Mouthfeel is creamy and smooth. Simply this is one interesting ale. At first I found the contrasting flavors to simply be too much, particularly in the roasted malt and alcohol categories. After drinking most of the bottle I must say I find some of the flavor profiles present very intriguing and unique, but could perhaps use a bit of fine tuning. If you love coffee and dark roasted malts as well as India Pale Ales this might just be the perfect beer for you. Unquestionably the most coffee like and hoppiest IBA (India Brown/Black Ale) I have ever had the opportunity to consume. Give it a shot and ride your bike.